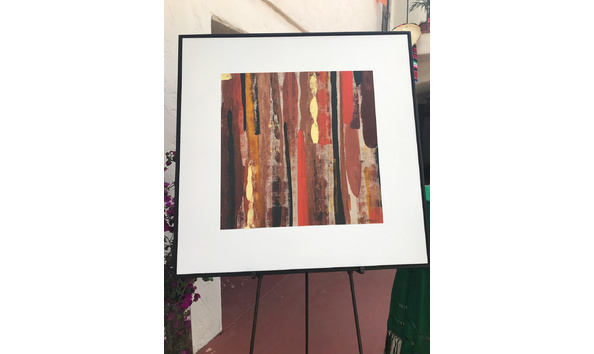 Russ Phillips is an established contemporary artist who splits his time between La Quinta, California and British Columbia. 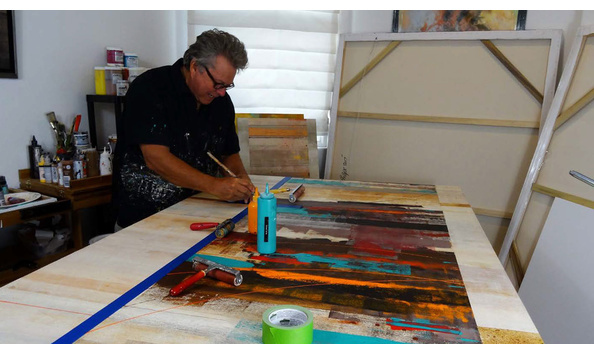 Russ is known for large-scale acrylic on canvas abstracts that focus on creative applications of paint to build color and depth. 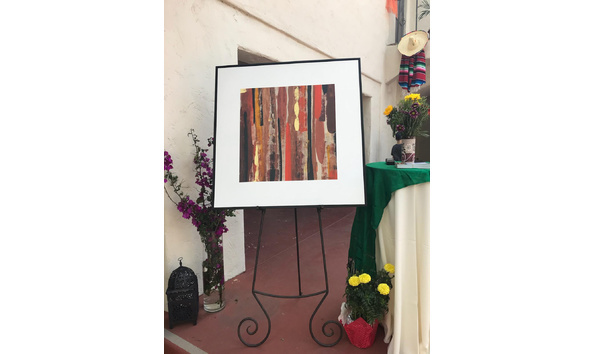 This piece, valued at $2500, has donated to the Claremont Educational Foundation in honor of the art teachers that inspired him during high school. 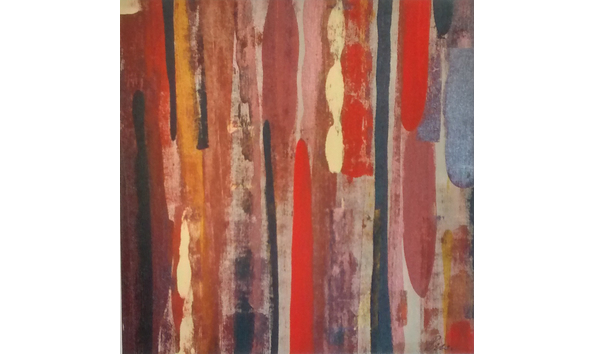 It is a 37" x 37" framed acrylic on canvas. 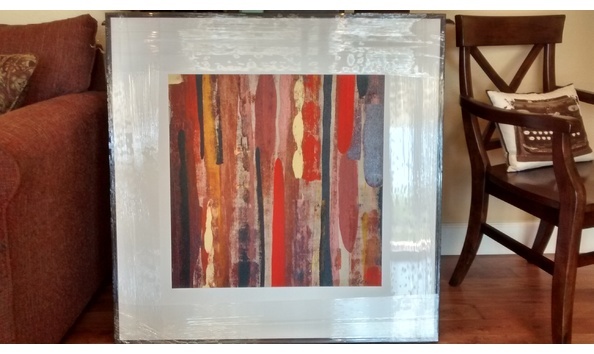 Note: current photo is of painting wrapped for transport in order to protect the frame.